This 6-week course is a great opportunity to meet new friends, build some serious surfing skills and gain experience in different conditions. You’ll be taught by the same instructor and be with the same small group each week, so you can all progress through the course together. 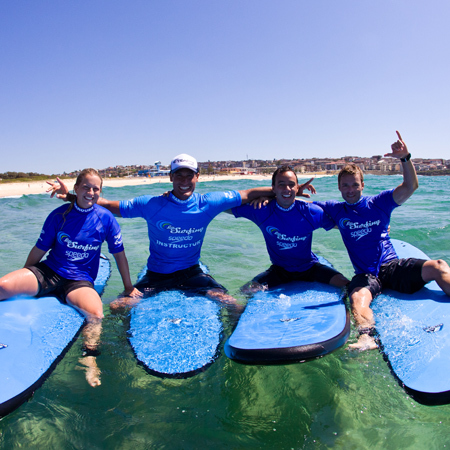 You will start the course off by learning the basics from warm-up to paddling, catching waves and standing. Each week you can build on from the last session and improve your surfing skills. This course is for people who have had some surfing experience, if you have had no previous experience please do a beginner surf lesson or a three lesson package first.